It allows you to burn more calories while you are just sitting there! I might not be looking to lose weight right now but I love dessert so enough said! The stronger your muscles the more calories that you will burn even while at rest! If you train correctly you will become stronger and more injury resistant which is a huge benefit for a long distance runner! After spending months of training for a marathon or half marathon the last thing that you want to happen is to be sidelined by an injury! However there are different ways to strength train and how you build muscle will greatly determine the results. Body builders train very differently than marathon runners even when they are lifting weights. You can see that in their physical appearance! Both are strong but they are strong in different ways. 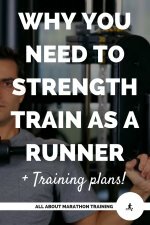 How should you strength train as a runner? As a runner you want to be able to sustain your load over a very long period of time. A body builder wants to lift more but in a much shorter span of time. Therefore us runners should lift lighter weights but do more repetitions whereas a bodybuilder wants to lift heavier weights but do less repetitions. 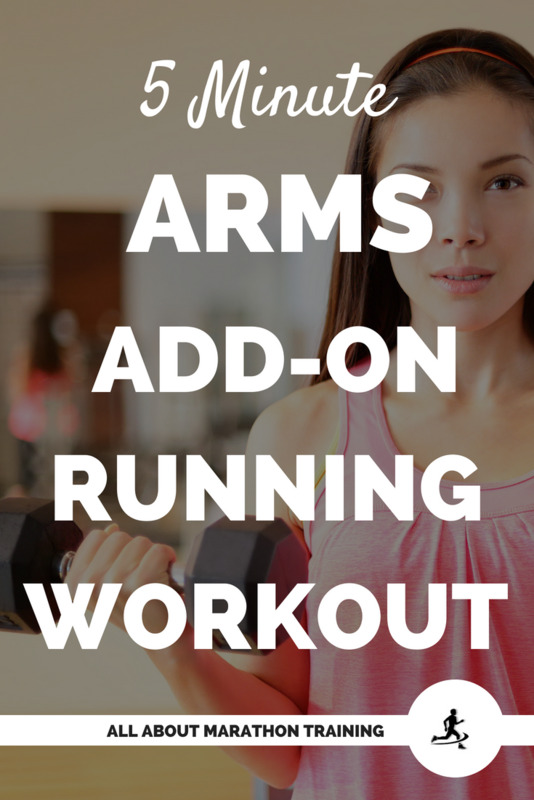 So I put together a 100 rep strength training for runners workout to enhance your endurance. 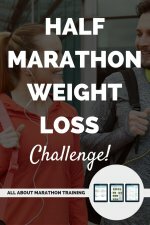 This workout will make you stronger and make achieving a time goal (we have 7 different finishing time goal marathon training plans! 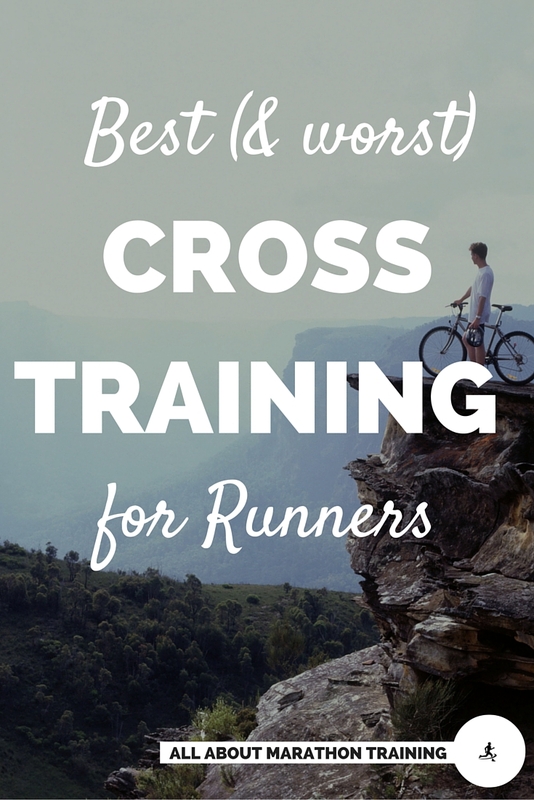 ), running a faster pace, or pushing off fatigue during your race so much easier! 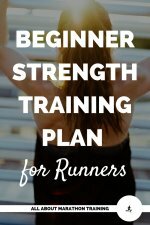 The 100 Rep Strength Training for Runners Workout! We are going to be targeting each of the major muscle groups to maximize effectiveness! Do 4 sets of 25 reps for each group. Move through all the exercises before starting a new set. If 4 sets is too much for you right now then try doing 1 set and then 2 sets of 25 and then over the next couple of weeks add in another set until you reach 4 sets to make for 100 reps. If you are doing the full 100 reps you will probably be feeling pretty darn sore the next (couple) day. This is ideally done once a week and paired with a different second strength workout a couple days before or after. This is a good workout for a cross training day! Beginner: choose a light weight - 1,2,3,5 pound weight or even no weight at all, just do the movement freestyle. Intermediate (those who have been incorporating regular strength training workouts into their weeks) choose between 5-15 pounds for each of these exercises. In general you will need heavier weight for the squats, lunges, back and chest exercise. Choose lighter weight for your arms, shoulders, and abs. Include a minute of cardio (mountain climbers, jumping jacks, high knees, skaters, etc.) between each muscle group for a complete workout or just keep to the strengthening exercises if you are in marathon or half marathon training. Pin the image to your strength training for runners workout board or print it out and tape it up right next to your weights for your next workout! Plan a rest day after!